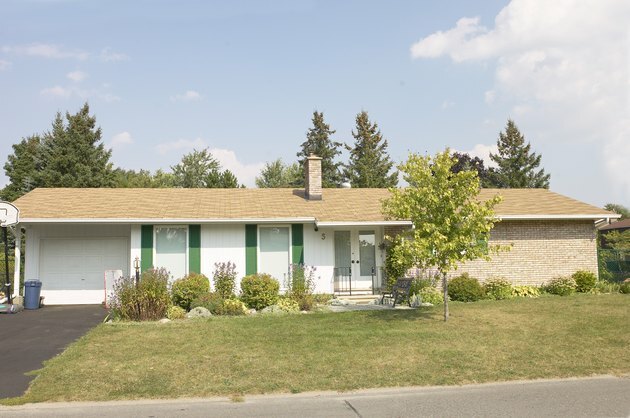 Some shrubs in your landscape can kill you, your children and your pets. Surprisingly, popular plant varieties commonly found in the home and garden are highly toxic, causing severe symptoms and even death. If you have pets and children, take care to avoid these common poisonous shrubs when planning your landscape. Oleander is a hardy round evergreen shrub that grows in USDA Hardiness Zones 9 through 11. 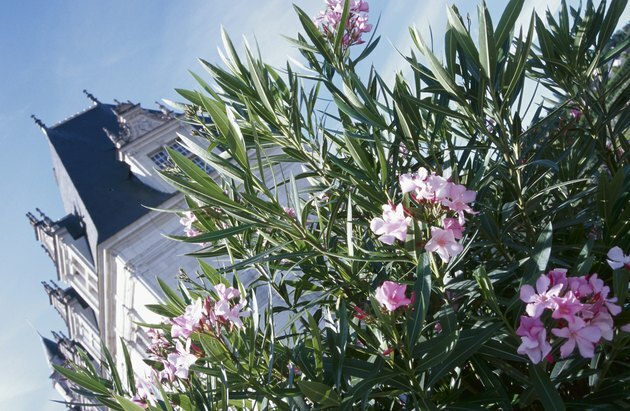 According to the U.S. Forest Service, oleander survives drought well and is well-suited to growing on soil too poor for most other shrubs, even tolerating salt spray, brackish water and alkaline soil. Unfortunately, every part of this plant, fresh and dried, is poisonous and potentially fatal to humans if ingested. Simply, sucking or chewing on the foliage or twig of oleander can put a person in the hospital. Symptoms include, but are not limited to: vomiting, slow pulse, bloody diarrhea and pupil dilatation. Additionally, burning oleander creates toxic fumes. 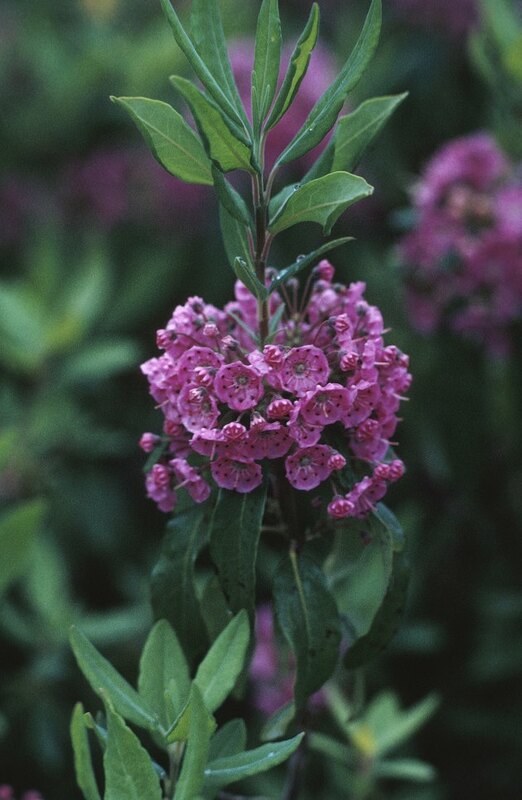 Commonly known as sheep laurel, swamp laurel and lambkill, this small evergreen shrub grows in USDA Hardiness Zones 1 through 8 and produces deep pink blossoms in the beginning of summer. Used in landscapes, sheep laurel grows up to 3 feet tall, pairs well with other evergreen shrubs and works well in partially shaded sites. All parts of this poisonous shrub are highly toxic and may be fatal if eaten. Symptoms of sheep laurel poisoning include, but are not limited to vomiting, headache, drooling, convulsions and paralysis. 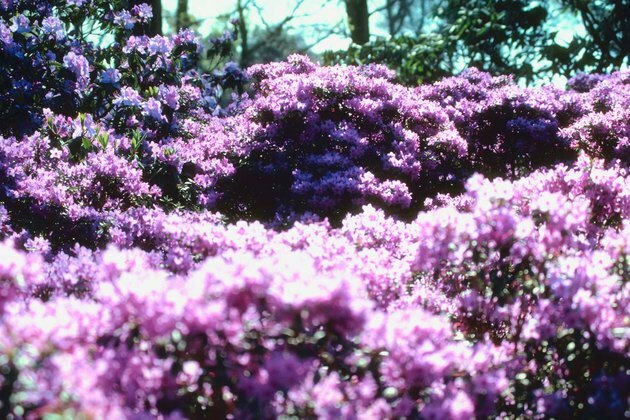 Azaleas, one species of the genus Rhododendron, are a common ornamental flowering plant used in landscapes and grow in USDA Hardiness Zones 3 through 8. These woody shrubs enjoy full sun, but have sensitivity to extreme heat, so avoid planting them on the south side of a house. The ASPCA Animal Poison Control Center says that all parts of azaleas are poisonous and potentially fatal to cats, dogs and other animals when ingested. Symptoms include, but are not limited to drooling, vomiting and depression of the central nervous system.